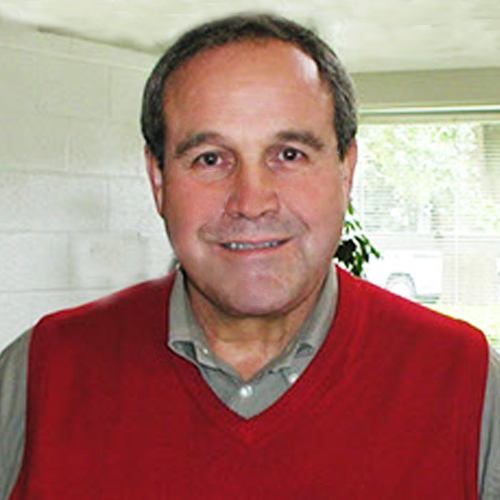 Dr. Thomas M. Losordo retired from the faculty April, 2012. He is currently an emeritus professor of the department. Tom has worked at NCSU for a little over 24 years, with the last 10 years working in the BAE department. In this department. he held the position of extension leader for 4 years and additionally, worked for the University of North Carolina General Administration as a faculty advisor for military affairs for two years. Dr. Losordo has earned a Bachelor degree in Biology from Bates College, Lewiston Maine a M.S. Agricultural Engineering from the University of Hawaii and his Ph.D. Agricultural Engineering from the University of California, Davis. Losordo is internationally recognized for his work in aquaculture having made significant contributions in the area of indoor recirculating aquaculture technology. He has been the main force behind NC States well known Lake Wheeler Road Fish Barn, a research and demonstration facility for recirculating aquaculture systems. The program at the barn develops, evaluates and demonstrates new technology for intensive fish farming at the commercial scale. Losordo also served as Principal Investigator of the Marine Aquaculture Reseach Center near Morehead City, and was also the Co-PI for the College of Ag. and Life Sciences at the LaPaz Sturgeon facility in Happy Valley, North Carolina. His research developments in this area have brought substantial improvements to operational methods and equipment design which are now used widely in the industry. Dr. Losordo and his team have provided essential technical assistance to established indoor tank-based aquaculture farm businesses and assisted with many new startups helping to support the development of new businesses in North Carolina. His strong relationships with the aquaculture industry has been instrumental in bringing over $5 M in monetary and aquaculture facility bequeaths to the College of Agriculture and Life Sciences. Guerdat, T. C., Losordo, T. M., DeLong, D. P., & Jones, R. D. (2013), Aquacultural Engineering, 54, 1–8. DeLong, D. P., & Losordo, T. M. (2006), Aquaculture Canada 2004 : ?b Proceedings of Contributed Papers, Canadian Freshwater Aquaculture Symposium, Que?Bec City, Que?Bec, October 17-24, 2004. Carroll, P. M., Watanabe, W. O., & Losordo, T. M. (2019), Journal of the World Aquaculture Society, 36(1), 120–128. Recreational fishing in North Carolina has a significant impact on the coastal economy, estimated at $1.6 billion (Crosson, 2010). A important component of this industry is bait sales and more specifically, live bait. Based on survey responses, Crosson (2010) estimated that 8% of the total trip costs per angler were for bait. While this value does not differentiate between frozen and live bait, results from a recent survey on the marine baitfish industry indicated that the majority of saltwater anglers prefer live bait (Oesterling et al, 2010). Hence, anglers wanting live bait must either harvest it themselves or purchase it from a bait supplier. While fishermen's preference for purchasing live bait versus catching their own is not known, it is likely that a significant number of those anglers who must travel to the coast to fish would prefer to purchase live bait as opposed to spend time trying to harvest their own. In NC, mud minnows (Fundulus heteroclitus) are second to only bloodworms in total volume of sales, with the majority of dealers harvesting their own as opposed to purchasing them from a supplier (Marc Turano, unpublished data). Many bait dealers cite consistency in supply and quality control as major problems with selling live bait, including those that had previously sold live bait. The need for a consistent quality product along with large market share potential has generated interest in aquaculture possibilities of mud minnows in NC. Mud minnows have been cultured in ponds on a research scale in several Gulf-coasts states (Bull minnow-Fundulus grandis), along with current efforts in Delaware (Mud-minnow- Fundulus heteroclitus). While the production cycles for these species are known, much of the data has been generated from pond studies, and is not specific enough for tank production, specifically that of spawning activity (number of brooders per tank, number of daily spawns, length of spawning season, periodicity of spawning and egg production). Estimates of egg fecundity in mud minnows ranges from 100-300 eggs per female per day for 3-5 days (Oesterling et al.,2004). Growout to market size (for the bull minnow) is approximately 8-weeks, depending on temperature and stocking density (Wallace and Waters, 2004). However, these estimates have not been verified in a tank setting. We are interested in spawning activity of mud minnows held in tanks to determine if mud minnows can be cultured in mass using tank-based systems. However, because pond construction is cost-prohibitive at this time, and total market share, while encouraging, remains in question, we are interested in a tank-based system. Use of a tank-based system would require a lower start-up cost (especially in a small-scale system and would provide the opportunity to gradually enter the industry and build market share). Lastly, the ability to control the environment will lead to year-round production. If indeed mud minnow production is an 8-week cycle, we envision an 8-tank system that fish may be harvested from on a weekly cycle, after the initial 8-weeks. Further, if successful, ponds could be constructed to scale-up, leaving the tank system for holding, grading, and out-ofseason spawning. However, the lack of spawning data for mud minnows held in tanks prevents us from designing a production system of sufficient size and that is economically feasible to operate. Specialized diets for fish are the single largest cost of production in most commercial finfish aquaculture operations. These diets, in the past, have contained large quantities of fish meal as a source of protein. Recently, environmental groups worldwide have raised concerns that fish stocks are being depleted due to the harvesting of the oceans for the production of fish meal. In response, aquaculture researchers have and continue to develop feeds with low or no fish meal as a protein source. Dr. Marc Turano, Sea Grant Aquaculture Specialist has developed one such diet. He has just completed testing the diet with Hybrid Striped Bass at the new Marine Aquaculture Research Center in Marshallberg, NC. The diet had completely replace fish meal as a source of protein with soybean meal and a small amount of animal bi-products protein. We believe that, based upon Dr. Turano?s studies with Hybrid Striped Bass, his no-fish meal diet offers promise for Tilapia nursery culture. We propose to conduct an evaluation of the ?Turano Diet? at the NC State Fish Barn. More specifically we propose to have Astor Farms, Inc. deliver to the Fish Barn 20,000 fingerling tilapia from the supplier used in past studies at the Fish Barn and currently being used by the Fresh Keepers Cooperative of which Astor Farms, Inc. is the latest member. We will stock and grow the fingerlings on a commercial diet until they are large enough (approximately 5 grams) to be fed the experimental diet. Once on the experimental diet, the fish will be grown to an average individual weight of between 80 and 100 grams. We predict the total trial to take 12 weeks. The trial will be terminated at 12 weeks regardless of the average weight of the fish. NC State personnel will be responsible for conducting this experiment at the Lake Wheeler Road Fish Barn. A sample of 10% of the population will be collected every two weeks to assess the average weight of the population. Water quality and feed conversion data will also be tracked. This work will involve writing a new publication for the Southern Regional Aquaculture Center (SRAC) which will improve understanding of the operation of recirculating aquaculture systems. 'Starting' a biofilter refers to the process of establishing nitrifying bacteria on the biological filter media so that these bacteria may begin processing the nitrogen-based waste produced by the organisms cultured in the recirculating system. The publication will be available to North Carolina citizens and the general public and will be an educational aid to those who operate recirculating aquaculture systems. This work will involve re-writing and updating the current Southern Regional Aquaculture Center (SRAC) Fact Sheet Number 456 to reflect current understanding of the economics and operation of recirculating aquaculture systems. In addition, the current spreadsheet will be updated to include additional economic factors and analysis, making it more suitable for use in a business plan. The revised publication and companion spreadsheet will be available to North Carolina citizens and the general public and be suitable as a tool for recirculating aquaculture business planning. Development of a Holding System for the Sale of Live black Sea Bass. With NOAA fisheries promoting the use of catch shares to manage our fisheries in this country there will be big changes ahead for the commercial sector. Individual transferable quotas (ITQ?s) are a form of catch share program. Fishermen are given a percentage of the total allowable catch (TAC) to harvest through the year as they see fit. It is widely known that percentage awarded to each fisherman will be less and maybe much less than their historical yearly average. Fisherman will have to get a higher price per pound to maintain a viable business. For the black sea bass market, live fish is one potential option. In order to hold live fish, systems similar to those used in aquaculture must be designed and managed to ensure the health of the fish after catch. Previous FRG projects using black sea bass in aquaculture systems concentrated on developing diets to grow legal wild caught black sea bass to a larger size for a premium price (98-AM-09, 03-AM-07), and explored various salinity and density regimes for culture of wild fish (00-AM-05). While effective, fish culture, rather than simply holding fish, requires additional filtration, system management, the addition of feed, and higher start-up costs. Hence, although a premium price could be obtained from a larger fish, production costs are also higher and must be considered in an operation. Fish holding systems are simpler in design, as fish are not fed during the holding period. Wastes (ammonia) generated in these systems originate only during the first three days after stocking fish, during which time fish are purged. Hence, the difference in managing a holding system compared to that of a true culture system is the timing and amount of ammonia produced. In culture systems, fish feed is typically added to the system twice daily, generating ammonia on a consistent basis. In contrast, holding systems experience a pulse of ammonia during the first 3 days after stocking, minimizing thereafter. Therefore, in order to successfully design and manage a holding system for fish (in this case the black sea bass), it is necessary to identify the timing and amount of ammonia production after stocking. Purposes (objectives) of the project: 1) To determine the amount of ammonia produced (mg ammonia per Kg of fish) and timing of production by black sea bass after stocking into a holding system. 2) Establish guidelines for biological filtration management during periods of stocking and removing fish from the system. Our goal is to enhance the economic competitiveness and environmental sustainability of farming established and emerging finfish cultivars in North Carolina (NC), including the striped bass and its hybrids and the Atlantic sturgeon. We aim to deliver new biotechnologies for improving gamete quality and early identification of gender, stress management and enhancement of growth, and the reuse, treatment and disposal of fish farm water and effluents. Our specific objectives are to: 1) reveal how the major system for uptake of yolk precursors by the ovary functions and to discover how this system is disrupted in female striped bass producing poor quality eggs; 2) develop a minimally invasive and practical method for identifying the gender of Atlantic sturgeon farmed for caviar so that males can be culled early in the production cycle; 3) discover how cortisol, a stress hormone, may influence the endocrine system regulating normal growth in hybrid striped bass (HSB) and accelerated growth induced in this species; 4) develop a disposal and treatment system for HSB pond effluents via their application onto land planted with various tree species; and 5) improve recirculating aquaculture system (RAS) technology and identify system requirements and costs for production of market-sized HSB in a RAS. Objectives 1-3 will be met via investigation of reproductive and growth physiology emphasizing specific genes, proteins and hormones, and objectives 4-5 will be achieved through aquaculture engineering and economic modeling efforts. Findings of the research will be widely disseminated to stakeholders in the NC and national aquaculture industries. Sponsor: NC Soybean Producers Association, Inc. Soybean meal (SBM) is the number one world-wide source of protein in animal diets, accounting for over 75% of plant proteins fed. Its relatively high yield, high crude protein content, stable supply and cost are reasons for its significant used in fish diets. Further, SBM is becoming a more important component in feeds as fish meal originates from the wild harvest of ocean fish, which has been viewed by some environmental groups as unsustainable, when considering worldwide expansion of aquaculture. In North Carolina, SBM is used at varying levels in diets for all commercially cultured species including hybrid striped bass (HSB), catfish, rainbow trout, flounder, tilapia, and freshwater prawns. Dietary levels depend on the feeding strategy for the species, with lower levels being fed to carnivorous fish, and higher levels fed to omnivorous fish. Since feed costs represent 40-70% of production costs for aquaculture operations, the use of high quality, lower cost ingredients such SBM can assist in reducing feed costs. Further, identifying methods to increase SBM usage in carnivorous species such as HSB could further reduce costs for fish producers while simultaneously providing greater marketing potential for soybean products, supporting the goals of the NC Soybean Producers Association. To that end, we intend to determine the effect of increasing SBM levels in HSB diets on growth, feed efficiency, and digestive tract morphology. Marine aquaculture facilities are constrained by thier saline effluents as they are not land applicable. Untreated saline wastewaters cannot be discharged into nearby creeks and streams as they would typically contain elevated concentrations of nutrients (nitrogen and phosphorus as major components) as compared to the natural receiving waters. The disposal of untreated, nutrient rich wastewater into local waterways would pose a significant environmental threat. Using constructed wetlands to treat marine RAS effluent can potentially reduce and even eliminate the impact on the surrounding environs. By removing a significant amount of the nutrients contained within the wastewater and possibly enabling reuse within the culture system, constructed wetlands have the potential to offer cost savings to the farmer. The objective of this project is to design a constructed wetland suitable for treating the wastewater from a marine RAS facility utilizing natural biological processes rather than traditional chemical treatment methods. The goal of such a design is to eliminate the impact on the local waterways and make the water treated by the constructed wetland suitable for reuse back in the marine RAS facility. Soybean meal competes with fish meal as a protein source for growing hybrid striped bass. Soymeal is the most affordable, sustainable and environmentally friendly of the two protein sources. Soybean meal was equal to fishmeal as a protein source for growing salmon. However, anecdotal evidence suggests that a high content of soymeal in feed reduces shipping quality of stripped bass. Fish grown on most soymeals cannot be labeled ?organic? because the soymeal in their diet was extracted with solvents to extract oil. Nonsolvent based methods of extracting oil from soymeal may leave too much oil in the meal to be used in fish feed. Additionally, some fish have been shown to mount an allergic response to soymeal similar to a response in pigs that diminish growth. We will initiate our research with a literature review and grower interviews to determine common diets for growing hybrid striped bass and their tolerance for higher levels of oil in their feed. We will also investigate the methods for making soybean based fish feed suitable for producing an ?organically? grown fish. We will conduct limited feeding experiments of hybrid stripped bass using currently available catfish diets to determine if the high level of soy protein induces an allergic response.